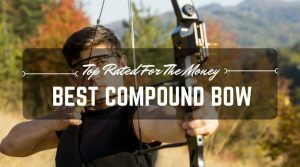 Bowstring is an essential part of a compound bow and comprises of several smaller strands that have been draped together to form very sturdy string. The string is capable of withstanding more than a hundred pounds of force. If all things are equal (which is usually not the case), a bowstring may serve you as long as the compound bow itself, especially if it is sufficiently cared for. However, if there is no proper maintenance, or if the bowstring gets bad, fraying will set in, which in turn promotes safety risk since the string may snap without warning and result in violent outcomes. You do not necessarily have to visit an archery shop to restring your compound bow, you can also do it at home. 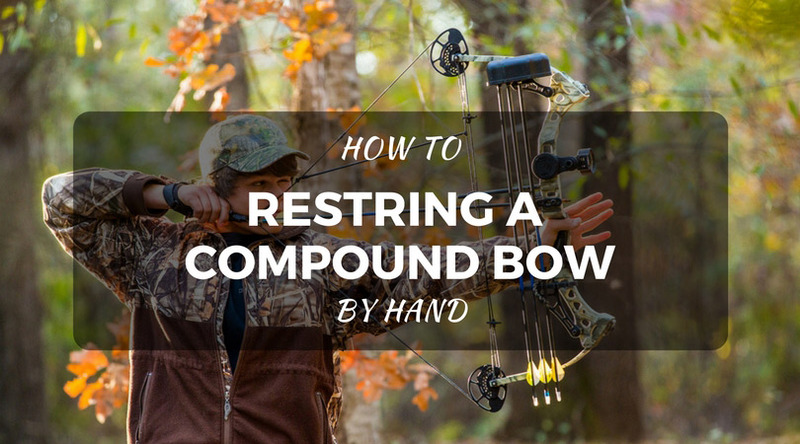 Why Restring ﻿A﻿ Compound Bow? 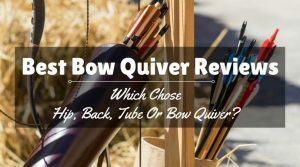 So, How Do You Tell If Your Bow String is Bad? The compound bow string joins the bow stave’s two ends and works to lunch the arrow. Majority of the present-day bow strings are built with non-stretching man-made materials. As a result, they tend to lose tension with the passage of time. The appealing properties of a bow string will include strength, lightweight, resistance to water, and resistance to abrasion. 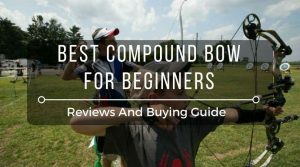 Why Restring A Compound Bow? 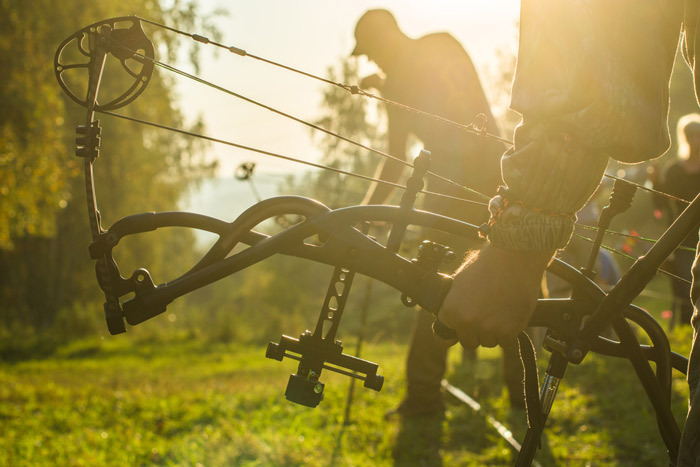 As mentioned earlier, once the compound bow string has lost strength and becomes worn out, it is very essential to have it re-stringed as soon as possible before even using the bow again. 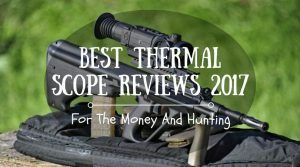 The reason is, shooting with a bow that has damaged cable or string can result in safety issues such as damaging the bow itself, or worse still risking the life of the shooter or even someone standing by if the string snaps without warning. 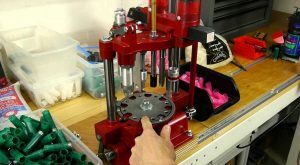 No doubts, archery shops have great tools such as the bow press that helps in relieving tension and restringing the bow. However, you don’t have to always rely on the professional shops to restring your archery weapon. The truth is, you can replace your bow’s string without a press. 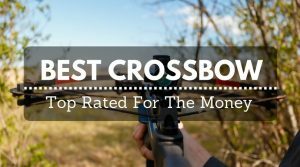 So, whether it is a crossbow or other types, you can replace the worn string by hand.It may surprise you to know that you can do a great job restringing your bow, just like the professional archery shops. Step 1: Locate the limb bolts of your bow and insert an Allen wrench right into them. The limbs of your bow connect to the riser at the limb bolts. Turn the bolts one after the other anti-clockwise, make three full revolutions so that a good part of the pressure will be taken off the limbs. Step 2: Use both feet to step on top of the bow string. Use your hands to pull up on your bow’s riser and keep pulling to allow the bow attain a “full draw” position. Step 3: Use one hand to hold the riser. Then, use the other hand to put the replacement bowstring’s end loops on the teardrop fittings of the new string’s open sides. The teardrop fittings are found on both ends of the bow’s cable. Step 4: Start lowering your compound bow until you see the limbs get back to the default position. Step 5: Take a look at the bowstring’s loops and ensure they are seated fully and properly onto the grooves. The grooves are part of the bowstring fittings. Step 6: With both feet, step on the replacement bow string. Start pulling on the bow’s riser and don’t stop until your bow attains its “full draw” position. Step 7: Take out the bowstring you want to replace from the fittings, then lower your compound bow. Step 8: Use the Allen wrench to tighten the limb bolts.The above are the simple eight steps that you need to restring your bow without using a press. When carried out properly, you will replace your string successfully, as though you had a professional archery shop do it for you. 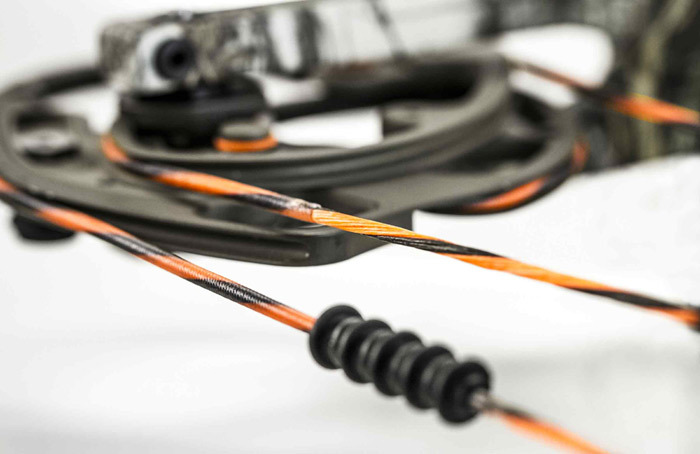 Having your bowstring re-stringed in a timely fashion will aid you in keeping up maximum bow shooting performance at all times. It’s also a good way to prevent likely string breakage. 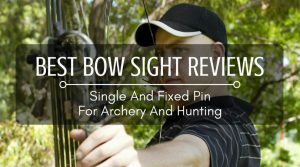 Broken or bad strings are not just annoying, but also have the capacity to increase injury risk to the bow shooter, and damage to the bow itself. Gratefully, there are tons of indications that can alert you when it is time to restring your bow. Part of your bow maintenance routines should be proper inspection of your bow in a periodic manner. During the inspection, you should pay attention to all parts of the bow, and particularly the bowstring since that is your area of concern. As you inspect your bow, take a closer look at the bowstring, consciously looking out for obvious signs of fraying and breaks. Once these signs are undeniable, do not delay to replace your bow strings. Also, when inspecting the bow string for signs of damage, pay closer attention at the point where the string passes across your bow’s cams. 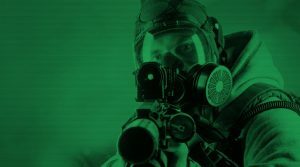 It is at this point that fraying and damage tend to take place most of the times. If it is really worn out, go ahead and replace the string without delay. The nock point of your bow string frays easily and may contain damaged strands. If this is the condition, you should replace the string immediately. If your bow’s draw length has become abnormally long, that could be a sign that your bowstring requires replacement.A bowstring diagram can be helpful when trying to replace your bowstring at home.